Facebook has become a basic necessity for business owners to plan as well as implement social media marketing strategy. Though there are numerous social media networks like LinkedIn, Pinterest, YouTube and Twitter, but with over 1.5 Billion users Facebook is the main game player. Participation and engaging on Facebook can be the most effective tactics but the business people are yet to get the most out of this useful tool. Many of them confused as to how and when they should publish their posts. A research conducted by Buddy Media reveals different ways to create the most effective engagement for retailers when interacting with their fans on Facebook. Here are a few findings which will help in clearing all the queries that surround Facebook. It has been seen that “non-busy” hours are the best time to post. This means that the target readers should not be at work so that they can “like” or “comment” on your post. Your best bet would be within 8 PM to 7 AM. It is recommended that you make use of Buffer. People who have used this have seen that it gets the maximum results. It gives you the right time when you can publish your posts so that you get the maximum results. 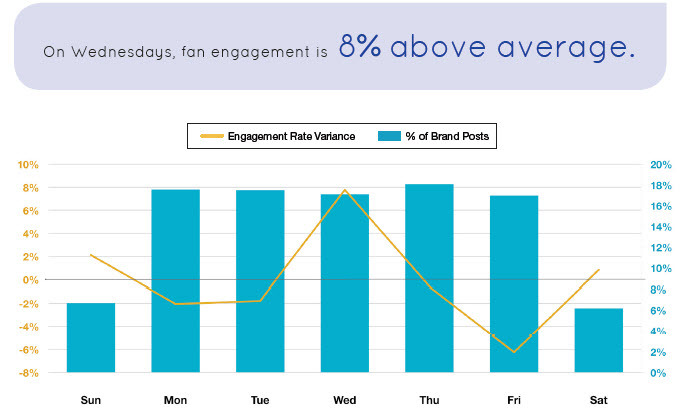 It is seen that many brands have the habit of posting all throughout the week. But if you want the maximum output, you must publish your post on Sundays and Wednesdays. 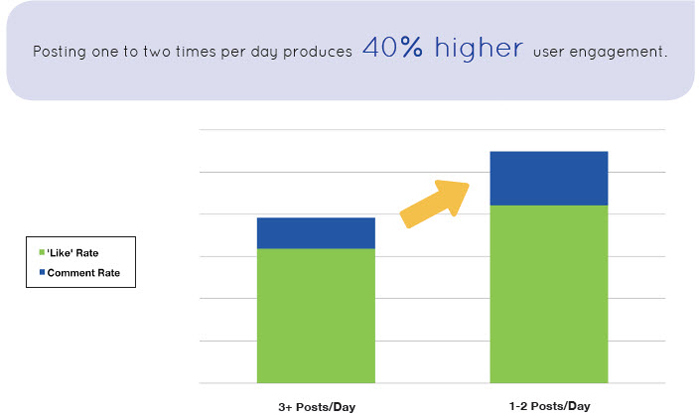 #3: How Often Should You Post Every Day? If you are getting confused about the number of posts that you should publish, you must remember that the quality of your post matters more than the quantity of posts. 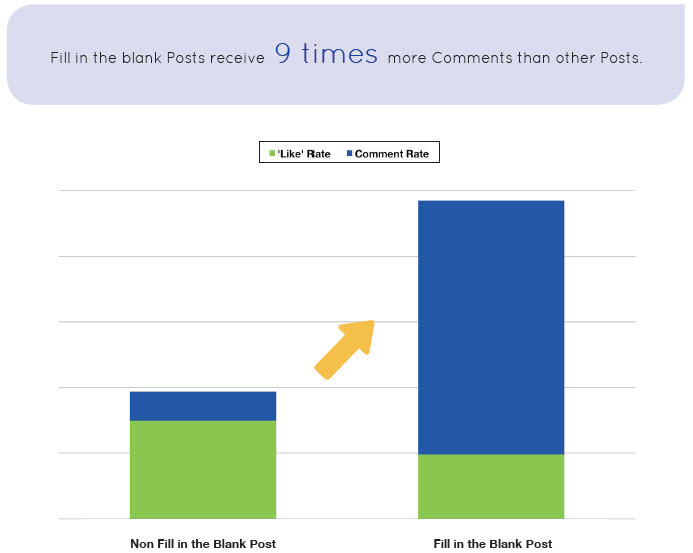 It is seen that if you are publishing a single or two posts it will get more “likes”, somewhere around 32% more for “like” and 73% more for “comments” as compared to more than 3 posts each day. You must not post so many posts that you end up over spilling the users’ News Feeds. You must aim for posting around one to four posts rather than five or more. It gets you 71% more user engagement. Also, you should avoid posting something when one post is alive, this will bring you the risk of losing the engagements. You should be aware of the lifespan of your post. How do you know the life span of your post? This is done by taking a look at the engagements. If the engagement is less than 10%, the earlier post is considered dead. This gives you the safe time for your next post. If you follow the lifespan, you get the right time to publish your post. 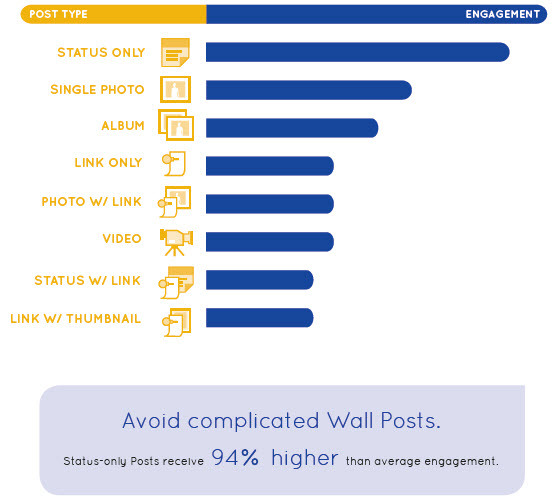 If the wall post of your retail brand is less than 80 characters then your post is more likely to get 66% higher engagement than with longer posts. 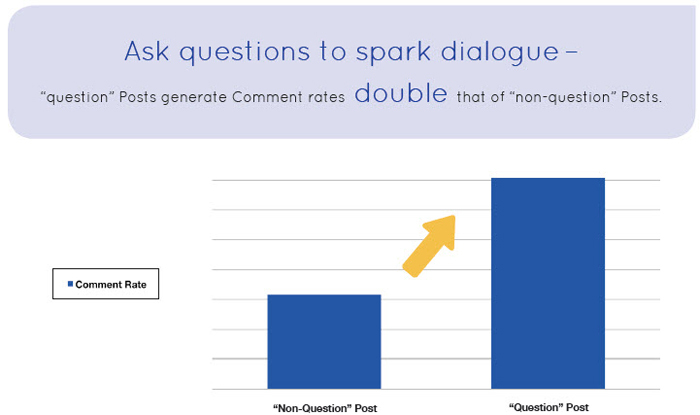 So you must keep in mind that your post should be to-the-point and concise if you want better engagement. It is the trend which can be attributed to Twitter and in today’s fast-paced life, people do not have the time to read lengthy posts. Hence, you must keep the post straightforward and simple. Anything over 140 characters is a big no-no. On the flip side, posts which are less than 100 words find lesser engagements and hence you should be mid-way. The post should be neither too short nor too long. Accompany a beautiful picture along with a short message and it is more likely to do the trick. 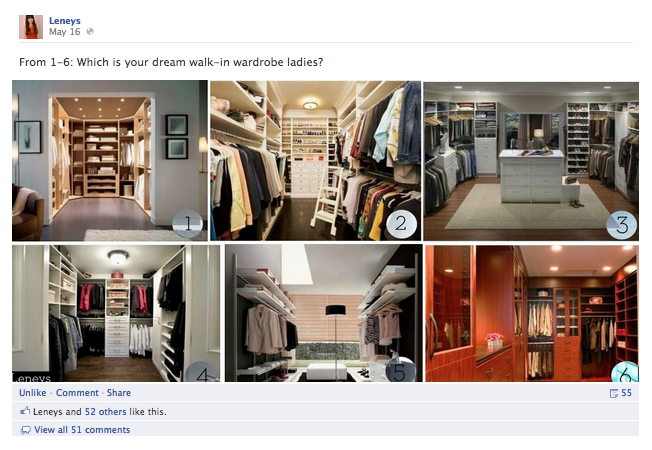 You must make sure that if you want more engagements for your retail brand wall post then you must ask questions instead of comments. Though you are more likely to get lesser “likes” for this, you will get better engagement in the form of “comments” which will be in the form of answers to the question that you have asked. This post technique is generally overlook and not utilized much but it has better pay-offs. This strategy is known as fill in the blank strategy. For example “I like….” This gets you nine times more engagements than other techniques. This technique is unique to the world of retail but is not used often. In case of deals, the fans prefer straightforward discounts. So you must remember that “$ off” gets better engagement from fans than “% off” as “coupon” gets better engagement than “sale”. Hence straightforward offers should be taken into account than roundabout ones. You must know which keywords will get you maximum benefit. Words like ‘like’, ‘comment’, ‘submit’, ‘tell us’, etc. bring better results. Keywords like ‘win’, ‘winner’, ‘winner’ etc. get the fans excited and bring better engagements. Coupons are very popular among fans and these get better engagement. Make sure that your fans do not have to sit with a calculator when you are giving offers. “$ off” is much better than “% off” and it receives twice more engagements too. Even is the amount that you are giving off is small, it always helps to display the amount instead of the percentage. While you can post interesting content which includes links, videos and photos, it is seen that a simple post is preferred by the fans. 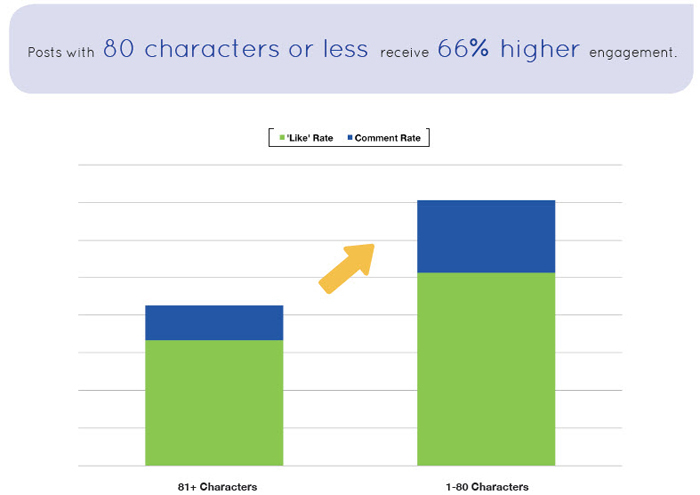 Your post with a few words gets 94% more engagement than an elaborate one. A picture is equal to a thousand words and there is no place better than Facebook where it can be proved right. A picture on Facebook does much more than that. Photos are one of the best ways which will help you in building engagements. They are better liked than posted links or status updates. Pictures visually stimulate the fans and help build better engagements. 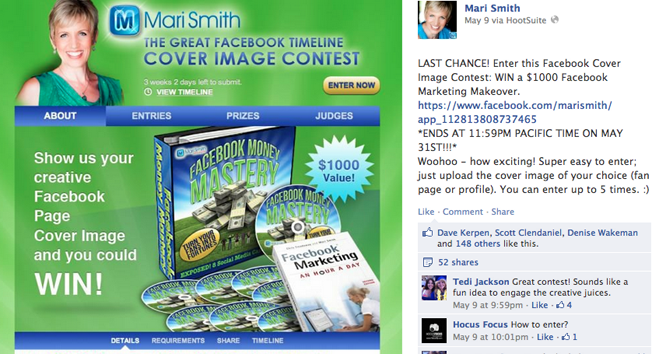 Another great way through which you can get better engagements is Facebook contests. It serves dual purpose of rewarding the fans as well as creating hype around your Facebook page. The fans get excited and keep checking whether they have won or not. There can be various types of contests which you can have for your fans. These include Binkd, social media promotions platform, etc. the contests can be straightforward or they can be more challenging ones. You can organize a ‘vote to win’ contest which will get likes but not many comments. Challenging contests can get you more comments. You get queries and questions from fans and you can utilize this to get fan engagement too. The next time you get questions, you can get a fan base which will give the answer to these questions instead of you giving them. Crowdsource gives tips and answers from fan base. This will help you get better fan engagements. ‘Call to actions’ is very important and help the marketers to drive the audiences in order to get the desired response. This is one mistake that various business owners make. They do update their Facebook status but do not give ‘call to action’. If the fans are given something to respond to, they will get better engagements. Human engagement is very important. If you engage your fans and bring a human element to your post, it will bring better connectivity. 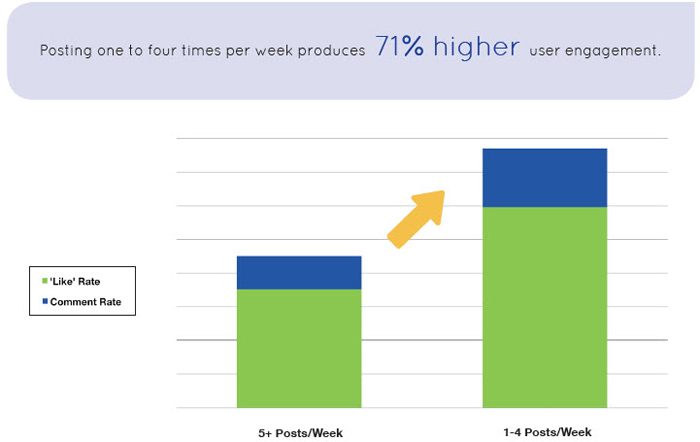 The Facebook wall post is viewed by only a small fraction of people and hence you must make the most impact with this. In order to increase your page engagement, you must get it promoted by using ‘page post story ads’. There is also a Facebook wall post promotion which is launched recently and will help you do your job well. A full length URL gets better engagements rates than shorter ones. This is a valid fact because numerous Facebook users surf this social media network through their mobiles. A short URL means that the website is not clear to the user which is not user-friendly to the mobile users. 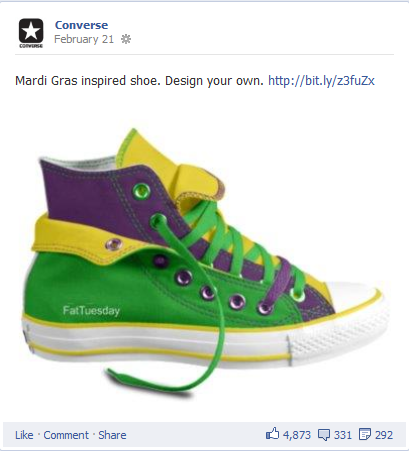 Your fans are always expecting newer product launches on Facebook page. Hence, this is the best way to build engagements. Fans always want to get a view of what you are working on and which are the new releases. Building an app, dedicated to give your fans a view is very important in building engagements. After going through the fan trend with regards to posts published on Facebook, you must have realized that Facebook is much more than an advertisement board and if not used in a proper way, it will not get you the expected results. According to market trend, one can easily infer that business people are more likely to invest in Facebook platform for their business and for getting more engagements with social media networking. 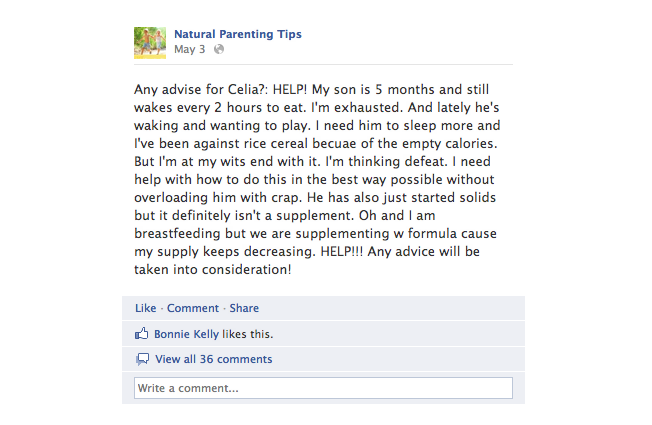 Many experts believe that there is nothing more to Facebook than publishing posts and getting engagements from fans. Well, you if think the same, be prepared for a jolt, like every other business person. 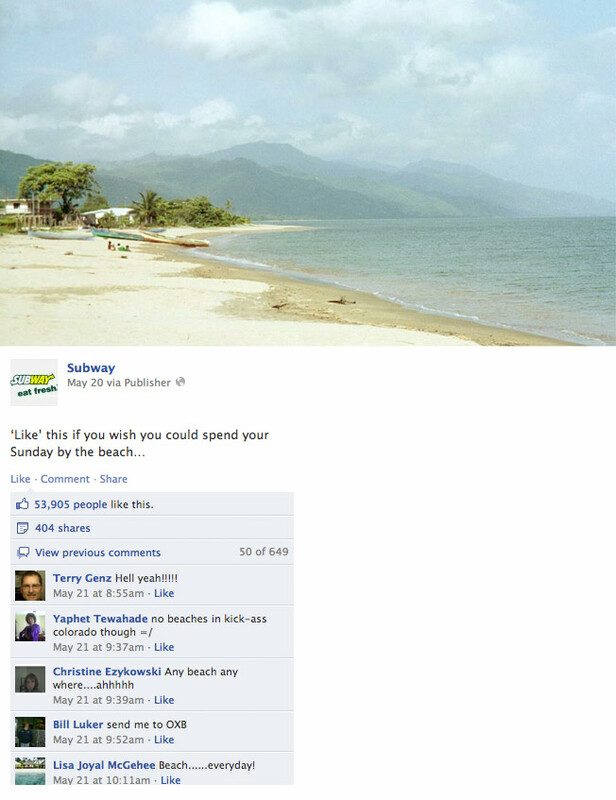 Many businesses stop using Facebook altogether when the expected results are not realized. But it should be kept in mind that the audience is always facing advertisements in almost every possible platform so when they use Facebook that is not exactly what they want to see. 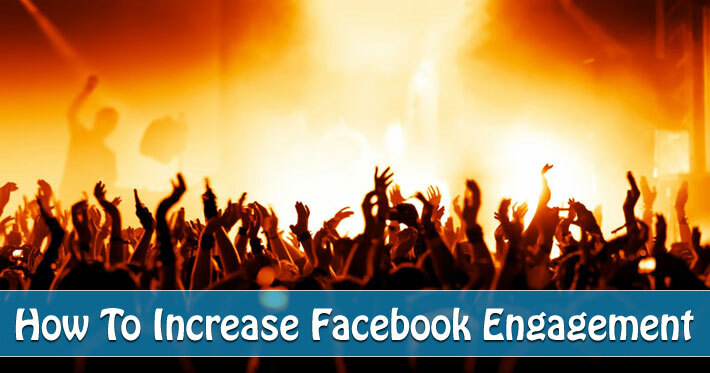 How have you increased your engagement on your Facebook fan page? What tactics worked best for you? Share your comments below. 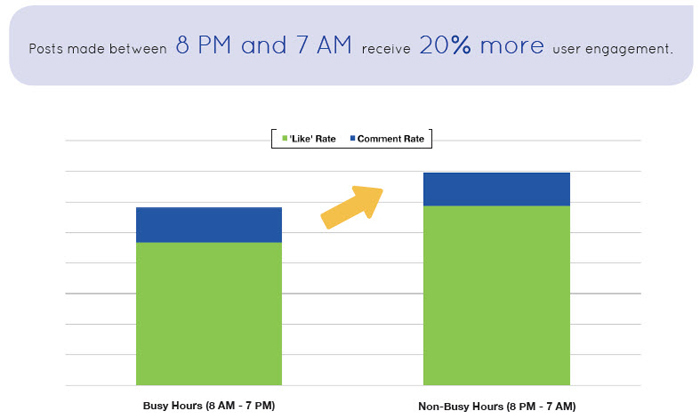 It is true that people do log in to Facebook during working hours but the engagement is bit lower than the free hours. And there are some work places where all social networks are blocked for the name of “improving productivity” :). Surefire indeed 😉 Thanks buddy, helpful tips for making your Facebook profile a must be spot!